This post is designed to give users the necessary instructions for turning on the new 'Full Width Boards' setting, which allows browsers to use a wider-than-default screen area where it's available on user-devices. 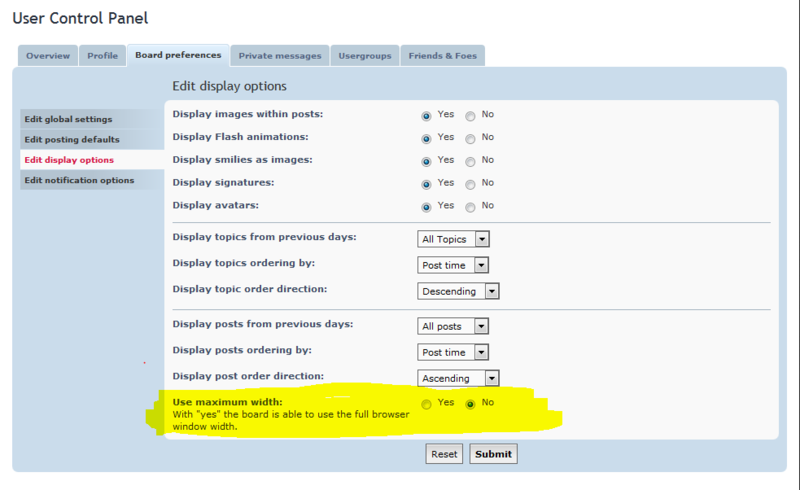 Using the above setting, users will see that their browsers can then use the full screen-width that's available on the device they are using to visit this forum. Hopefully this will help where large amounts of tabular-data is being discussed, but it should also help more generally with the usability of the site where users have wider screen-areas to use.